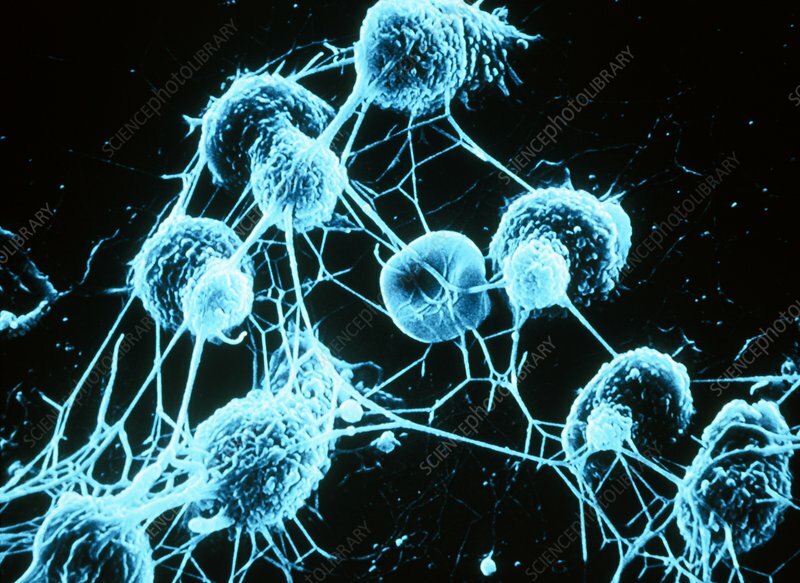 False colour scanning electron micrograph (SEM) of human macrophages impaled on strands of fibrinogen. One erythrocyte (red blood cell) is distinguished at centre by its smooth surface & biconcave shape. Macrophages belong in the immune system & are responsible for clearing the body of foreign invaders such as bacteria & viruses. This they do by engulfing & digesting the invader in a process called phagocytosis. Magnification: X 600 at 35mm size, X 1200 at 6x7cm size.